As I am finalizing my message for tomorrow, this is one of those times that I wish I could just say nice, comforting things to the people. They have had a tough year and are in need of some encouragement. 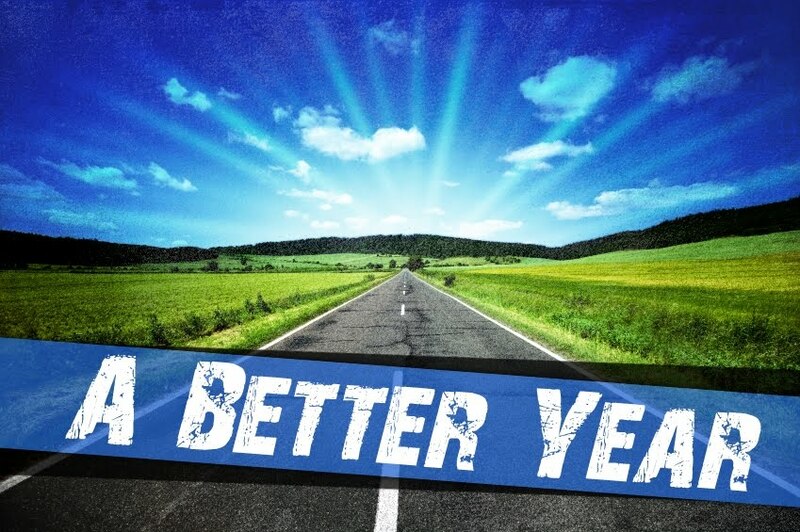 We are starting a new series that we are calling, “A Better Year”. I thought this theme would be fairly interesting to people considering 2009 stunk for most people. After all, who is not interested in improving the world and our lives? If we form our opinions from what we are hearing and reading in popular media, we will be conflicted. Some are guessing for better times, some say we are in for more of the bad stuff. The human spirit is generally gifted with a sense of optimism: we are hoping for the best. But sometimes it just feels like a cosmic crapshoot where we hope the dice rolls in our favor for a change. How can I, with a straight face and in good conscience say, we are in for “A Better Year”? I have always despised it when preachers say things that people want to hear, just to get a positive reaction or to be liked. I have no plans to tell the people tomorrow that, “everything is going to be fine, just relax”. I value credibility too much to do that. And I know that, unless God has something up His sleeve that I don’t know about, I am going to be here for a while facing the people that I speak to tomorrow. All of this considered, still I do have a sense that we are in for a better future. If we learn from our past mistakes and correct our behavior, things will get better. If we stop complaining about how bad things are and embrace the things that God is teaching us, things will get better. If we become content in whatever our circumstances, if we learn what truly is important in life, things will get better. If we stop waiting for our situation to improve and start improving ourselves, things will get better. If we are willing to do the necessary spiritual consecration, things will get better. Conversely, if we do not change anything, things will not get better. I am going to tell everybody why we have hope. And things will get better.